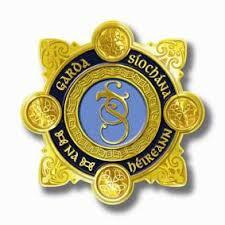 The role, if any, the Garda College, Templemore, will play in Irish policing in future is under review by the Commission on the Future of Policing in Ireland, it has emerged. Minister for Justice Charlie Flanagan and acting Garda Commissioner Dónall Ó Cualáin yesterday confirmed the college’s future formed part of the commission’s review process. “I would expect over the course of their deliberations that they would look at the matter of education and training,” Mr Flanagan said. Mr Ó Cualáin said as far as he was concerned the college had “served us well”. However, both he and the rest of the Garda management team would make themselves available to the commission to discuss any issues around training and the college. Of late the Garda College has been rocked by revelations of serious shortcomings with financial governance. The problems were well known in the Garda for years but only emerged publicly in the last 12 months. And with the wider Garda organisation under such pressure to reform, and become more open, the prospect of transferring basic Garda training out of Templemore and into a regular university has been mooted.